Nuclear Island Big Rig immerses engineering students in a hands-on engineering experience working under the simulated conditions of a nuclear-licensed site. 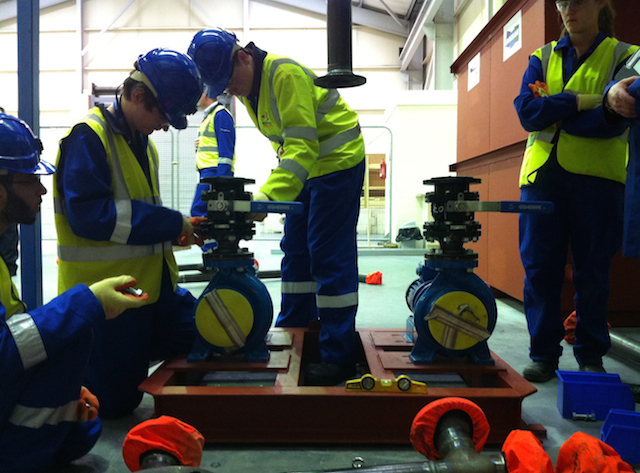 In just five days, students assemble, operate and dismantle the mock-up of a primary loop of a nuclear power station. This event forms part of the Nuclear Island initiative, led by Cogent, and is backed by employers, universities and theRoyal Academy of Engineering and event builds on the success of the Nuclear Island Constructionarium. For this event Think Up defined the experiential learning objectives with the client team, developed the daily programme of activities, created supporting resources, developed an accompany e-learning stream to support reflective student learning and facilitated the event on site at the Big Rig in Bridgwater.